Canada needs aircraft certification standards that don’t simply acquiesce to the U.S. But for several days Canada stayed the course, even though this was the second fatal crash involving the Max 8 in just a few months. Falling in line with the U.S (where the plane is made), Transport Minister Marc Garneau initially said he wouldn’t make any “premature decisions.” Garneau instead declared — somewhat bizarrely — that Canadian pilots are among the world’s best and he would fly the Max without hesitation. “Flying is a very safe way to travel,” Garneau added. Less than 48 hours later, however, the transport chief reversed course. Citing “new data” that Canadian officials had received, Garneau issued a safety notice — a move that effectively banned the 737 Max 8 from using local airspace. U.S. officials eventually followed suit, though not before President Donald Trump tweeted, “I don’t want Albert Einstein to be my pilot,” a reference presumably to the increasingly complexity (and challenges) posed by highly automated aircraft. 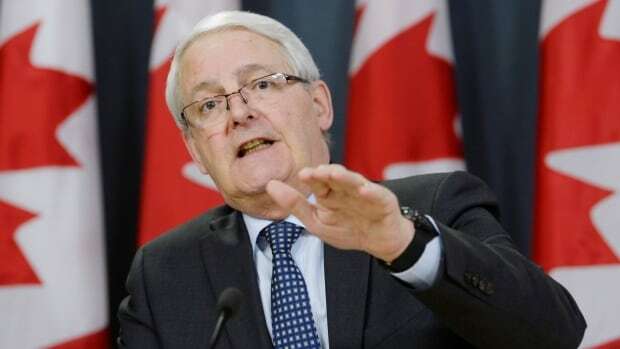 Garneau and others defended their initial decisions to keep the Max flying, insisting that the evidence available to them at the time did not support grounding the Boeing 737 Max 8. But such reasoning misses the mark. Garneau’s mistake isn’t that he didn’t ground the plane sooner. Rather, it’s that he allowed the plane to fly in the first place. When a new jet rolls off the assembly line, it can’t just take to the skies. The manufacturer must first show the plane complies with existing safety standards. This means acing lab tests, flight tests and evacuation tests all under the watchful eye of government safety inspectors. Once that happens, the plane is issued a “type certificate,” which allows it to ferry passengers around. There is one problem however. In recent years, the U.S. government has, citing a lack of resources, allowed jet-makers like Boeing to “self-certify.” This means that while one Boeing engineer tests the airplane’s systems, another acts as the government representative signing off on whether or not those systems are sound. Under existing rules, a type certificate issued in the U.S. is usually accepted by Canada (and vice versa). This given the “high degree of mutual confidence and trust” enjoyed between the two countries. That trust, however, has been broken. Canadians deserve better. When it comes to public safety, Ottawa should lead rather than follow. This means implementing an aircraft certification standard that doesn’t just acquiesce to the U.S. But perhaps we should start making those decisions before tragedies happen — not after.